Photographing Dooney Bags with so many rich lovely colors is a challenge. Lighting and settings can affect the shade or colors. 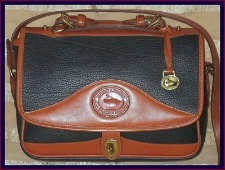 We endeavor to keep the colors as close as possible to the actual purse, in our dooney and bourke Vintage bag pictures. 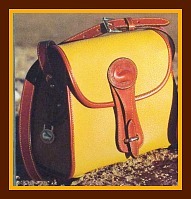 Dooney AWL Bags are Saturated with Color. For their vintage All-Weather Leather Collections, they used a signature natural drum-dyeing process to color the leather. After tanning, Dooney & Bourke hides are placed in huge oak drums filled with rich natural dyes and left to soak for days. 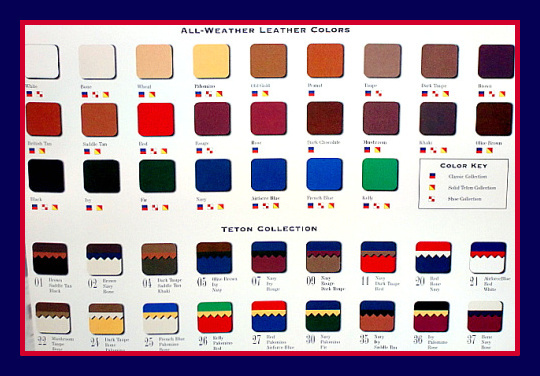 The dyes slowly permeate the leather to produce a rich, lasting color. Just as stain soaks wood and allows its grain to show through, drum dyeing reveals the natural markings and extraordinary character of the hide. Dooney and Bourke drum-dyeing process took longer than conventional spraying, but Dooney's commitment to quality created a superior finish. This process results in slight variations of color. 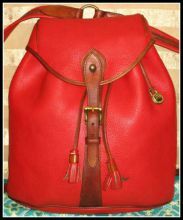 All-Weather Leather Handbags can be found in 17 different Colors with British Tan trim, matching Dooney's Tan Harness Leather trim, and 22 colors including all collections made. 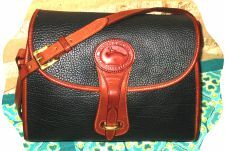 Dooney & Bourke bags and accessories now come in a wider range of colors & color combinations than ever before. 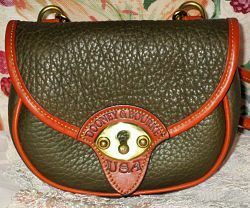 With this Fall of 1993 addition of new All-Weather Leather Colors, Dooney & Bourke was now offering their Dooney Handbags in a total of 22 different colors, shades and hues. For Dooney purse customers looking for a more dramatic color statement, you could choose one of the BRAND NEW Teton Bags which came in eleven different multi-color combinations (Fall of 1993 Dooney & Bourke began making their Teton Collection in 11 multi-color combinations).